What a great crowd Saturday night at Donaleighs Irish Public House! In fact, the story of the night was how loud the crowd sang along! At times they would almost drown out the rest of the band! It was also an eclectic crowd. We had folks dressed in costumes, we had a bachelor party, a stagette...heck at some point in the night there was actually a bride and groom in attendance, in addition to the usual cast of good-looking revelers that we expect at Donaleigh's! Our gigs here are ALWAYS memorable, and this was no exception! 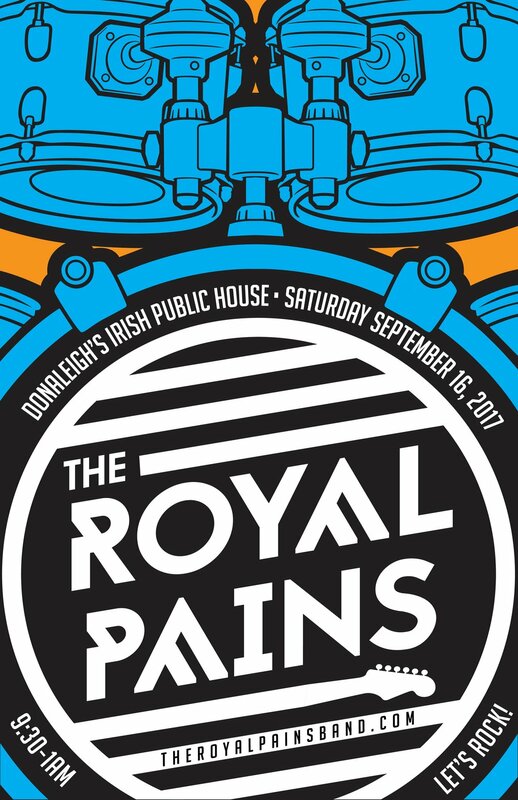 A huge shout-out goes to staff, management and security at Donaleigh's for inviting us to play and taking such great care of us. Carlo sorry we took your parking spot. Shout-out also goes soundman extraordinaire Steve van Stiphout for making us sound good. A final shout-out to Agata for taking some great shots of the night. Next up... We take a little break to take care of family and day-jobs, but we will return with a bunch of shows to finish off 2017 beginning with...you guessed it...Donaleigh's on Friday, October 27th.